Like any Columbus website design firm (or, really any web design company), we do our best to keep on top of search engine optimization (SEO) techniques. We do this by following blogs of people who are much smarter than we are, so we're learning from the successes of others. As you might imagine, there's a ton of SEO information out there. We read through several blogs weekly, and summarize what we've learned by posting that information on our website, as well as including our own professional experience into the mix. By posting good content often, we moved up to page 1 of Google. Check out our Google Analytics which measured the 30-day period between October 15th and November 15th. This was before we began our frequent blogging efforts. Now here's our Google Analytics for the following 30-days, between November 15th and December 15th. These are the results immediately AFTER we started blogging once or twice a week. As you'll see, in just one month, there's almost a 45% increase in key Google indicators. The amount of time visitors spent on our website went up by 45%. Which means the people visited our website between November 15th to December 15th spent more time there, than the people whi visited our website between October 15th - November 15th. More people went to more pages on our website than before. 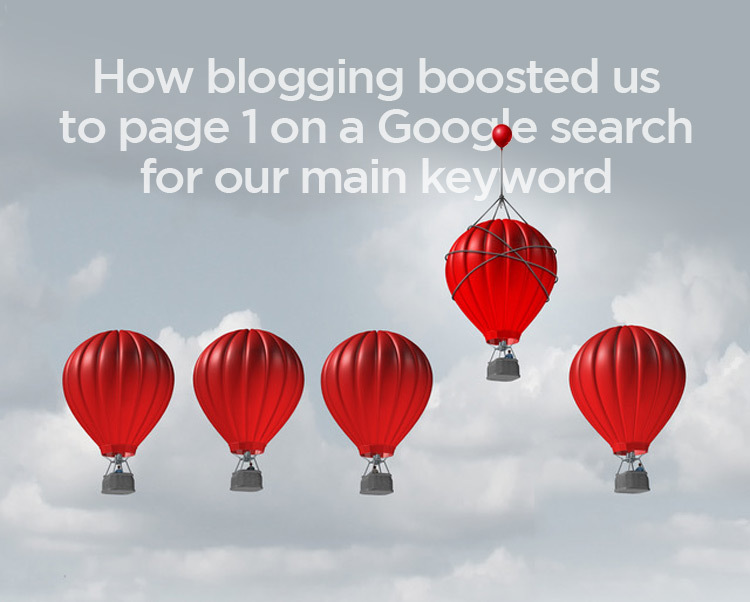 What surprised even us, was that blogging regularly showed results within 1 month, moving us to page 1 from page 2. Granted, moving up one page in the results wasn't far to go, but the difference between being in the top 5 results on page 1, vs. being anywhere on page 2, is huge. Being on page 2 is almost as bad as being on page 10, because research shows 2/3rds of the clicks are on the links listed in the first three spots in Google's search results. As a result, we've also gotten a few more emails from our website than we had before. And we expect to get even more as we continue this effort. Two-thirds of clicks are on the first 3 results. This eye-tracking heat map posted on SEO Customer's website, shows how people look through Google's results on page 1. So if you'd like to learn more about how you can start your content marketing efforts to get results like these, let's talk.